When software is being developed using this methodology, one has to detail the right agile documentation. Time is a critical factor in agile methodology and one should be cautious about why something has to be documented, the associated challenges, the important factors, timing and the end documents that need to be created. Unless you are able to answer these questions, the documents will not help in the process of software development. A document is necessarily required for an organizations library. At times it is just part of the project management requirements. 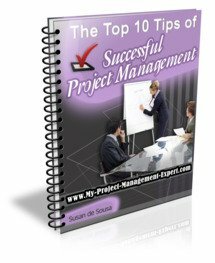 This normally occurs when the project management stakeholders are not necessary technical people, in which case they tend to ask for the documents. They are used to complement verbal communication especially when the team is not sitting together to work. If you are expecting an audit in near future or if they are part deliverables of the project quality plan, then these documents are important to have. There are several issues which need to be addressed before starting creating the agile documentation. When you are concentrating on the fast development of software you need to ensure that this documentation doesnt take so much time that the project gets delayed. Youll be amazed how often this happens! The person who is developing the software may not have the necessary skills to create the right documentation. On the other hand, the role of a Business Analyst is not normally technical and as a result they may not have the in depth knowledge required of software programming. Therefore if this happens the two need to work in tandem to produce the required document. The document should contain more executable specifications such as system requirements, its architecture and design. There is always a trade-off between accuracy and the detail of the document that is to be produced. There are some basic factors which can make this documentation effective. The document should be sufficient enough to meet the agile requirements. It should be lean and have quality information included in such a way that it is useful for all the related parties. It should include all the information that the customer needs to know about the software. Remember this is not the same as detailing everything the customer would like to know about the software. Unless they are technical do not go overboard.